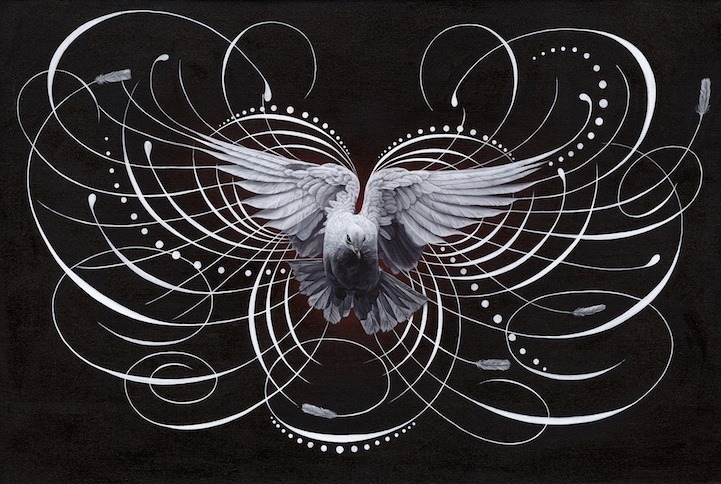 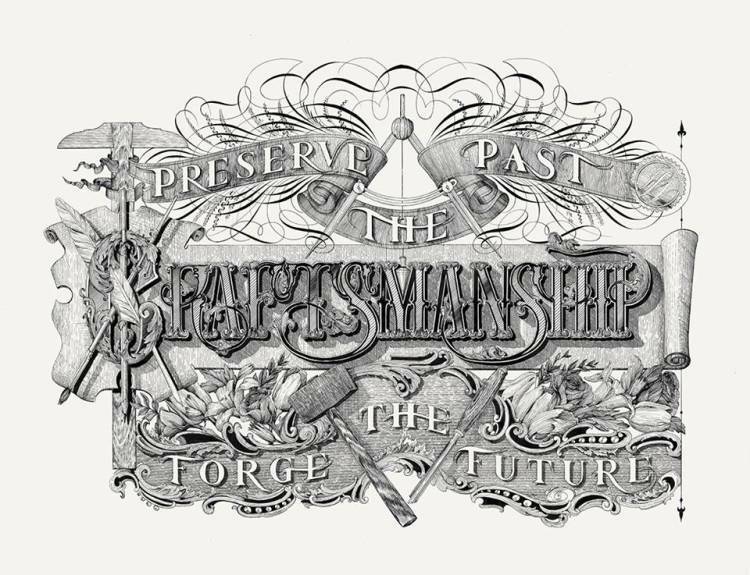 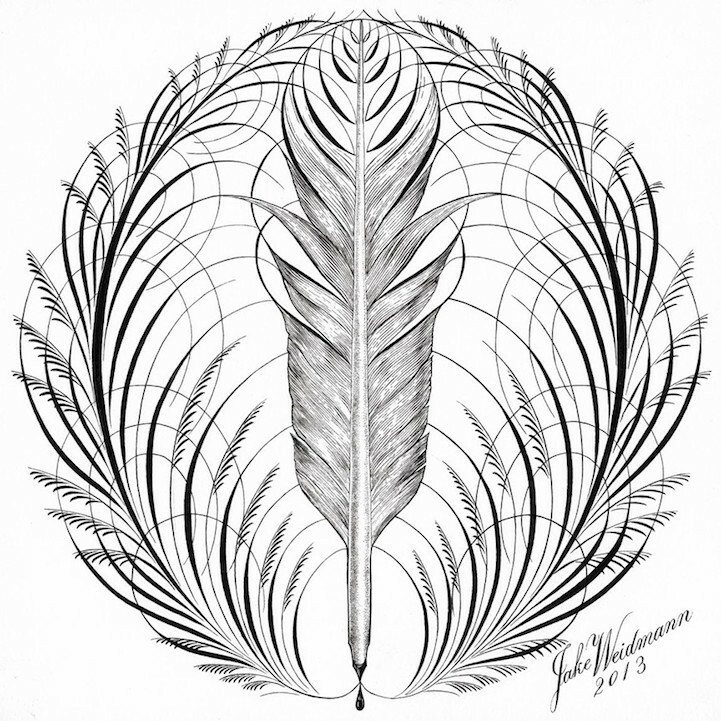 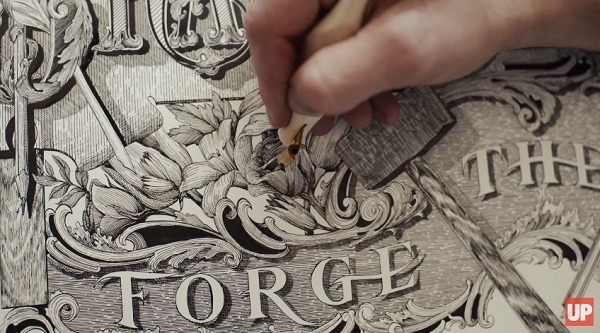 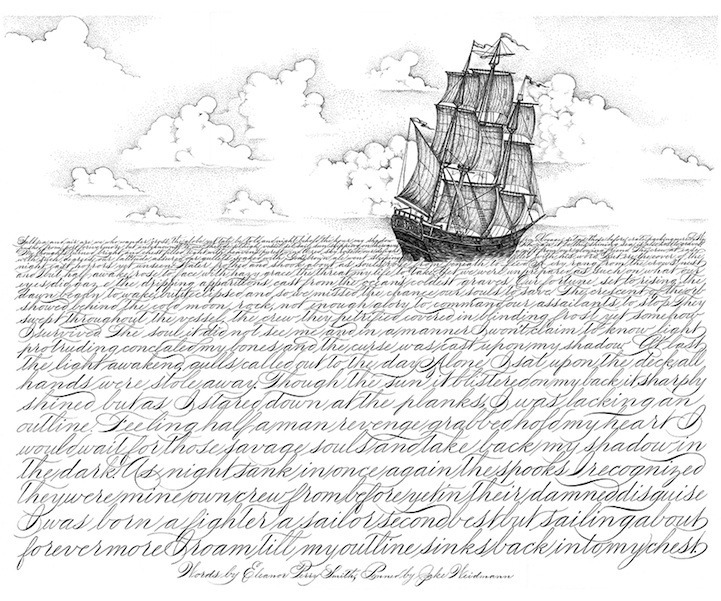 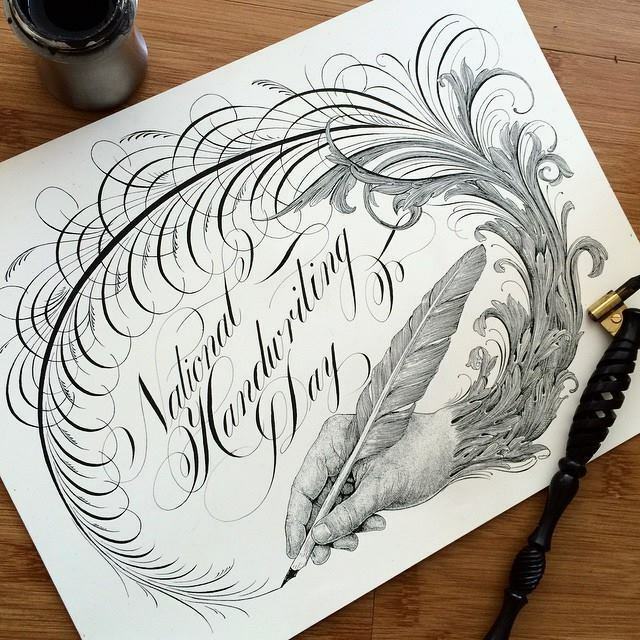 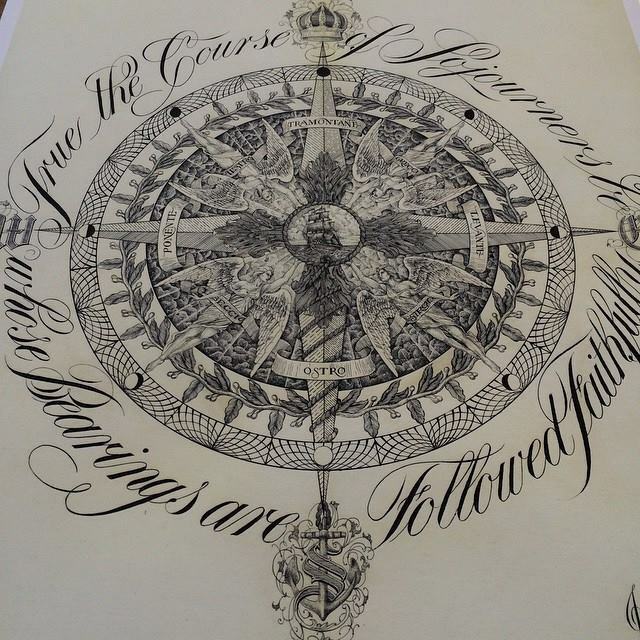 In July 2011, Denver-based artist Jake Weidmann was certified as a Master Penman through the prestigious International Association of Master Penmen, Engrossers and Teachers of Handwriting (IAMPETH), becoming the youngest member ever and only the the 14th Master Penman in the world. 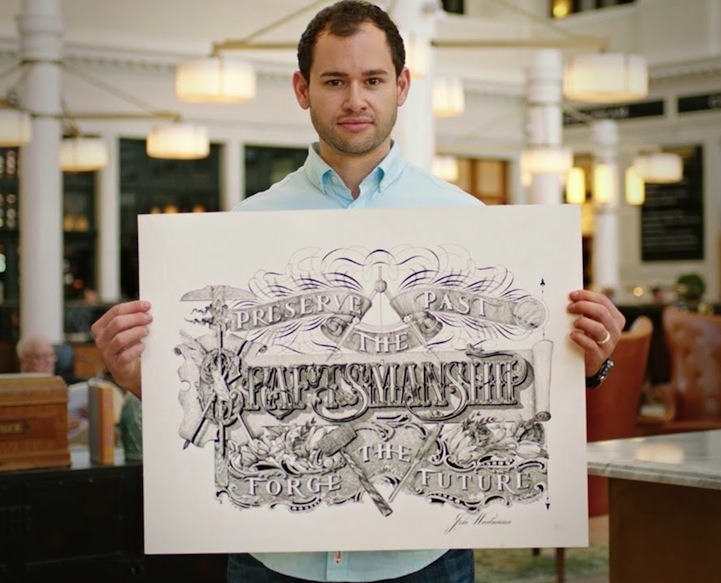 In the fourth episode of Uproxx's Human series, Weidmann talks about his process, his inspirations, and his deep commitment to preserving the art of pen and ink. 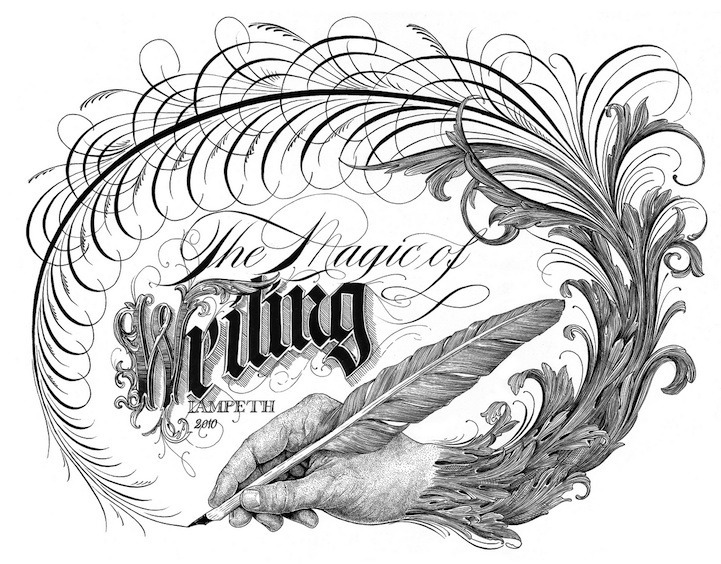 I took it upon myself to really work obsessively on my handwriting everybody else in school had their laptops out in there are typing away and I had a pen in a pad of paper. 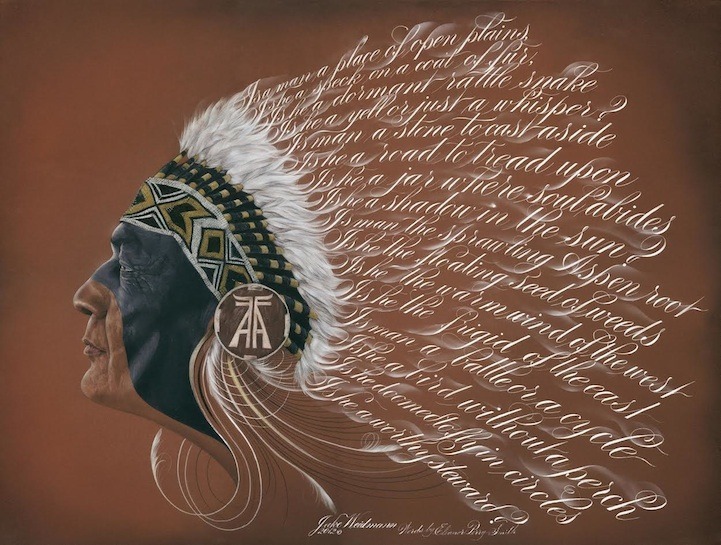 …I practice a lot of different art forms but I particularly mix calligraphy into my artwork to give both the words and the pictures more life and a stronger message.